← PTS at the Rumble Fitness Masters Of The Sea Competition! 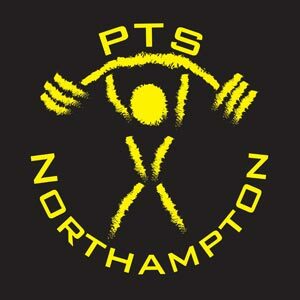 So today (Saturday 19th March 2016) was the GBPF British National Championships for Masters Powerlifting (40 years and over – ish). It was held in Horncastle, so with the girls P-j Gentle and Wendy Williams having their weigh-in at 8am, it meant leaving Northampton at 5.30am…. My weigh-in was at 1pm, and thank God it was. Two weeks ago I had put on quite a bit of weight to help me get round the Winter Nuts Obstacle Course, but because I got injured so early on I didn’t lose any of the weight. Start of this week I weighed 85kg and a bit, but I figured I’d easily make 83kg by the weekend…. Sneaking onto the competition scales for a cheeky check at 9am, imagine my horror at being 84.7kg! The officials present shared my total lack of optimism at being able to make weight! Right then, drastic action time! I immediately headed out into the field next to the hall and ran laps. I had a load of layers on, ran for an hour non-stop, then headed back in to cheer on P-j and Wendy for their squats, then headed out for another 30 minutes of running. There was some little kids playing football in a coached session out in the field on my second run, they were awesome, hurling abuse at me for running too slow, constantly screaming “Knees up!” and racing me, forcing me to do sprints, just a nice bit of motivation and banter. They seemed actually sad when I headed back for my weigh-in! Bless ’em! So 1pm rolls around… I had nothing left energy wise, I decided that if I didn’t make weight I wasn’t going to try any more, I was too spent. I was certain I had failed and was consoling myself with a couple of silver linings; getting to go home early, and having a nice long run! So I hopped on the scales… 82.1kg. Like, eeerrrrrrr… You what mate? In four hours I had dropped 2.6kg! Well I’m back in the game! Time to refuel, but slowly! I had originally planned weeks ago to go for the 500kg total in this competition, but life has been a bit of a rollercoaster these last few weeks, so I dropped my openers on everything and just went for safe conservative lifting. But before I lifted I watched Wendy and P-j, and they did awesome! 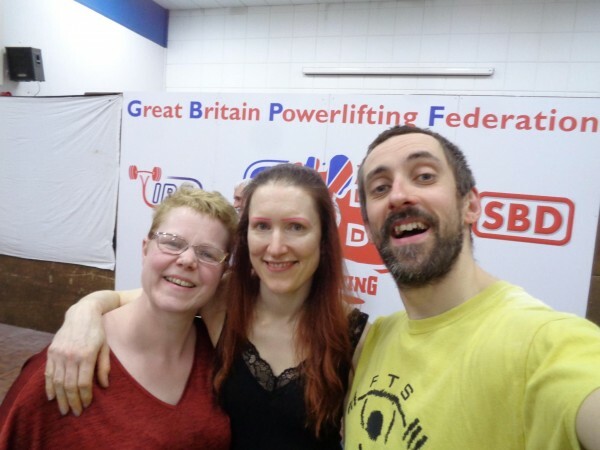 P-j PB’d her squat, deadlift and total, while also weighing lighter than ever, and Wendy put in a solid performance after coming back very recently from illness, so these girls had done a good job of inspiring me! So the squats were first. My legs felt dead. Empty. Just hollow tubes of rubber dipped in fire. I opened on a very light 120kg, it felt horrible. I then went to 130kg, that felt better. then 140kg, which was originally my opener, felt slow but sure, no doubt once it got moving. I felt elated I had got through the squats and got all three, even if they were light! Bench press felt nice, except for my legs, which felt screwed, funnily enough. I opened on a nice light 100kg, easy peasy, then 110kg felt nice and strong, so I plumped for a competition PB of 120kg, and nearly got it! Very close so should get this next time without a stupid long run first! Then deadlifts. Opened on 180kg, felt easy but slow, so went 190kg, that felt slow too, so thought sod it 200kg for my final, didn’t feel optimistic as I was still drained in my legs, but it moved and I didn’t feel like quitting after the day I’ve had! Although not my heaviest deadlift by a fair bit, I was super chuffed to have stuck with it to lockout! So an emotional 450kg total, a lot lower than what I was planning for weeks ago, but I’m actually very, very pleased with how today went! Yes I’m an idiot but I also don’t quit, and the day was just a fantastic one with amazing people like Marc Giles and Rana Singh being involved. Just a wicked day and a wicked competition! Loved the support between all the lifters, just one of those days that reminds you why powerlifting is a fantastic sport! And should be enjoyed by the masses! Big shout out to the spotters, officials, helpers and cafe crew, amazing job all round! Still smiling at the end of a long, grueling but very efficient day! I’m buzzing! Strongman in Dartford tomorrow! Boom! Oh and here’s the video of the lifts! Enjoy!